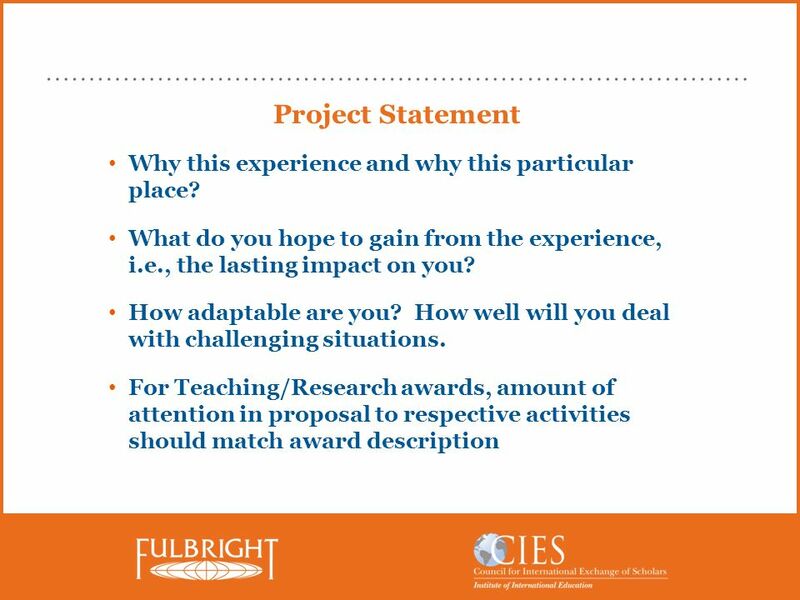 15 Project Statement Brief self-introduction to the reviewers, an opportunity to provide answers to the questions reviewers may have about you. 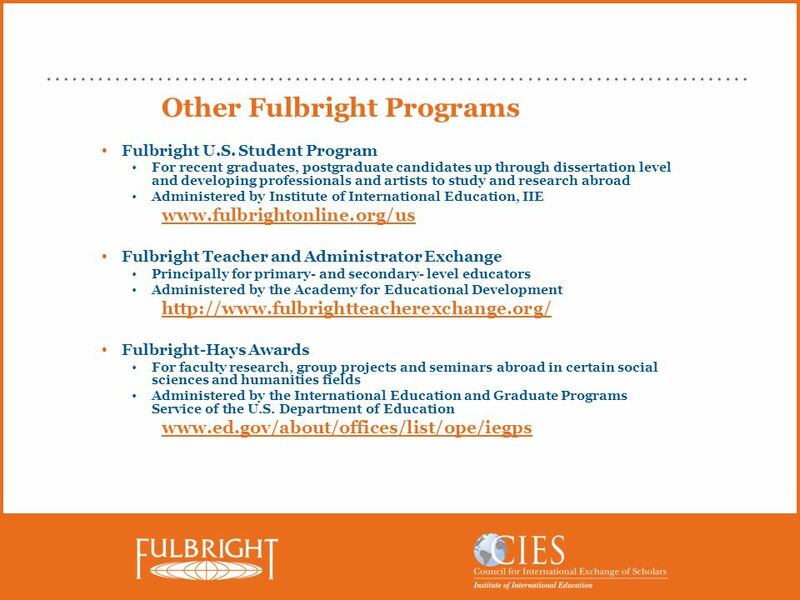 Why you are interested in a Fulbright and why in this particular place? 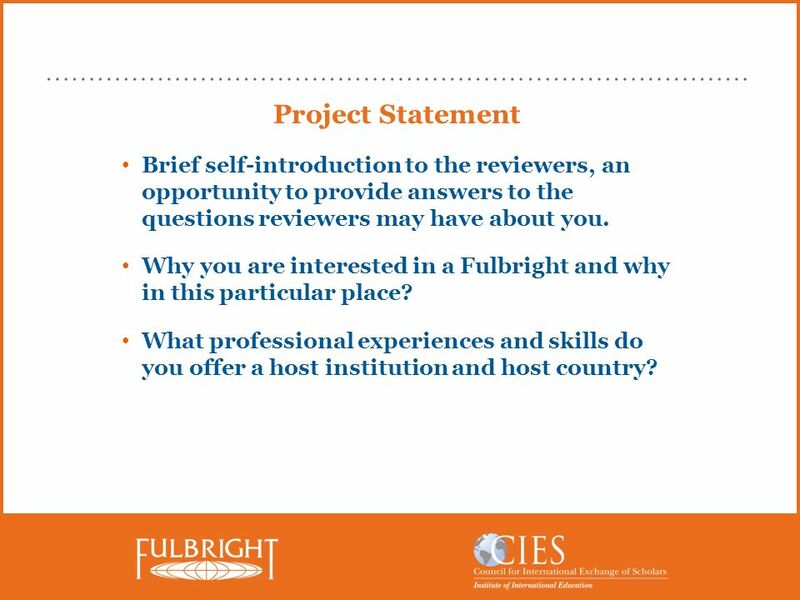 What professional experiences and skills do you offer a host institution and host country? 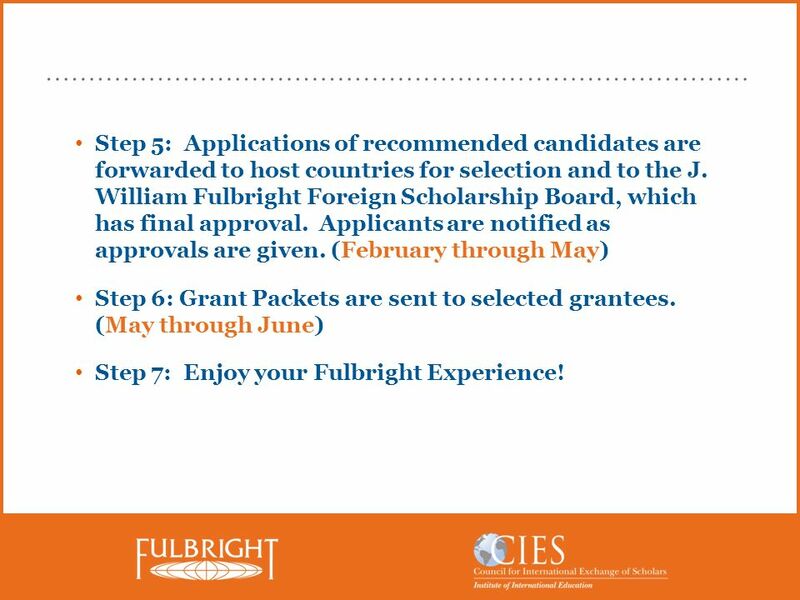 18 Step 5: Applications of recommended candidates are forwarded to host countries for selection and to the J. William Fulbright Foreign Scholarship Board, which has final approval. 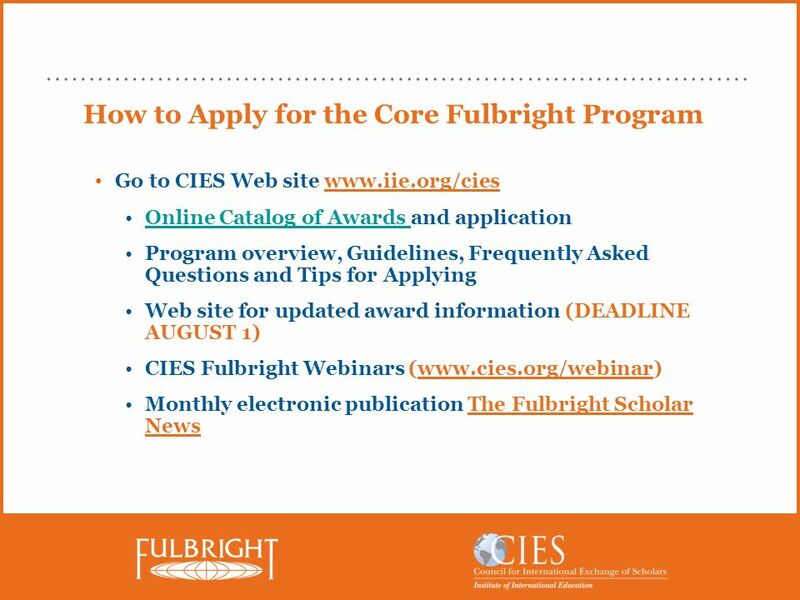 Applicants are notified as approvals are given. 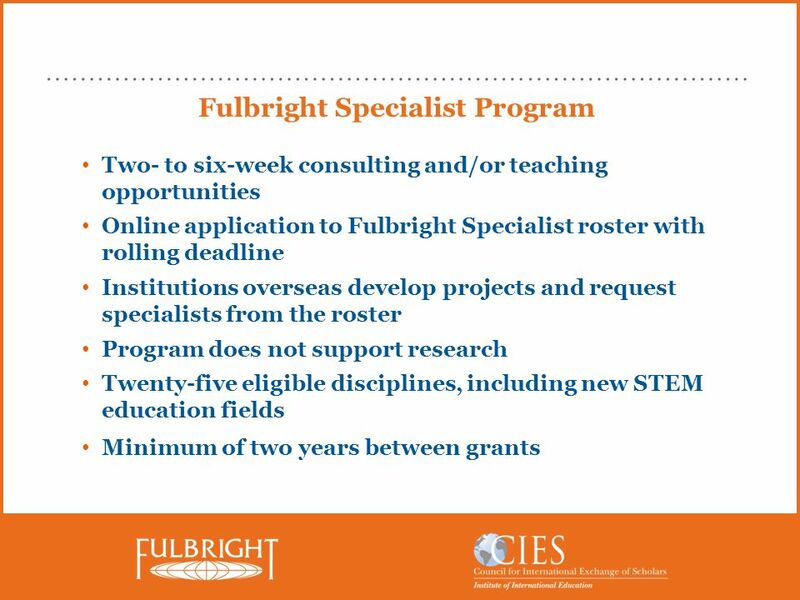 (February through May) Step 6: Grant Packets are sent to selected grantees. 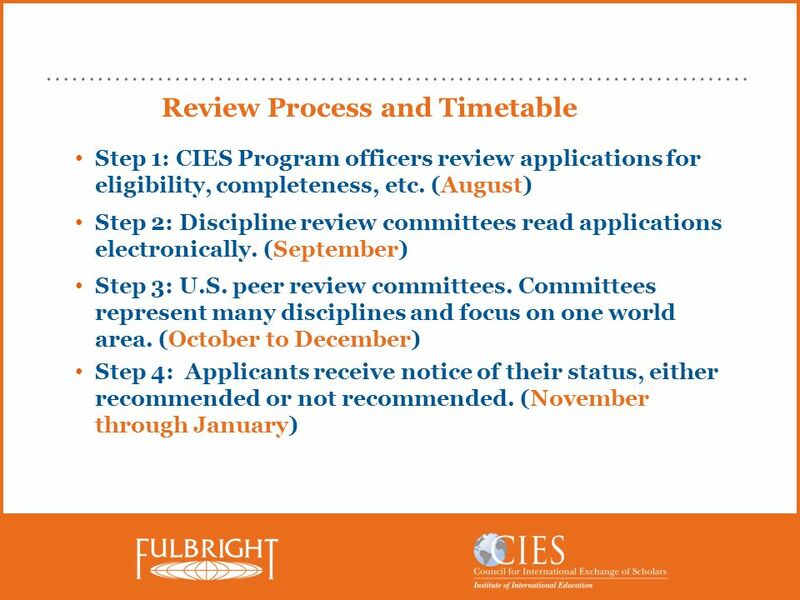 (May through June) Step 7: Enjoy your Fulbright Experience! 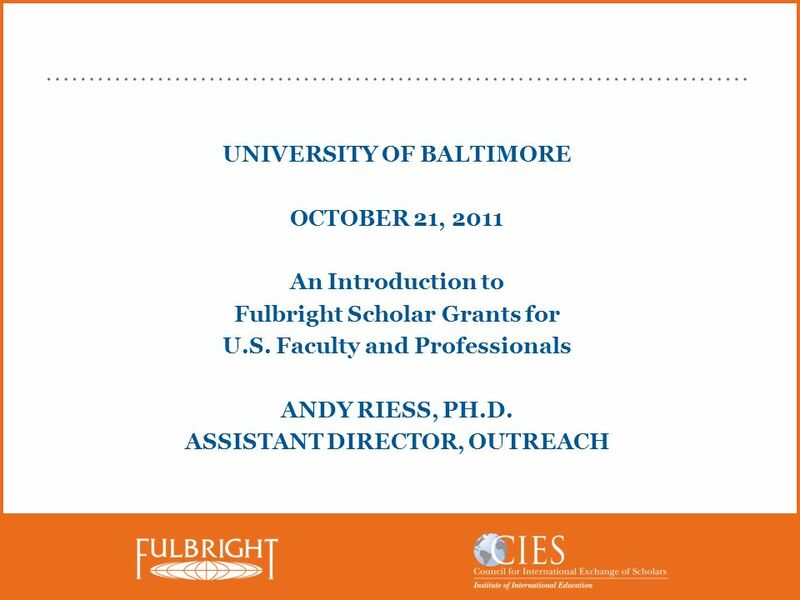 Download ppt "UNIVERSITY OF BALTIMORE OCTOBER 21, 2011 An Introduction to Fulbright Scholar Grants for U.S. 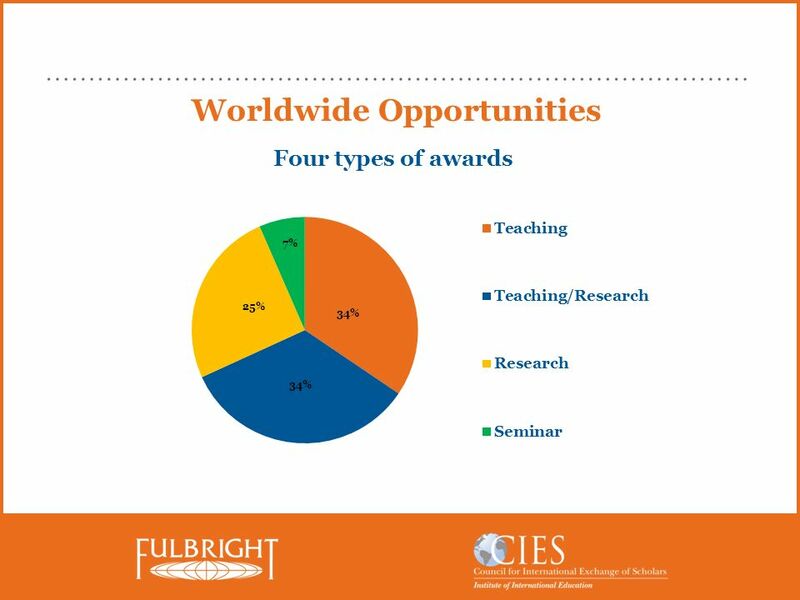 Faculty and Professionals ANDY RIESS, PH.D. ASSISTANT DIRECTOR,"
CREATING OPPORTUNITIES TRUST AND ENGAGEMENT FOR THE UK WORLDWIDE. 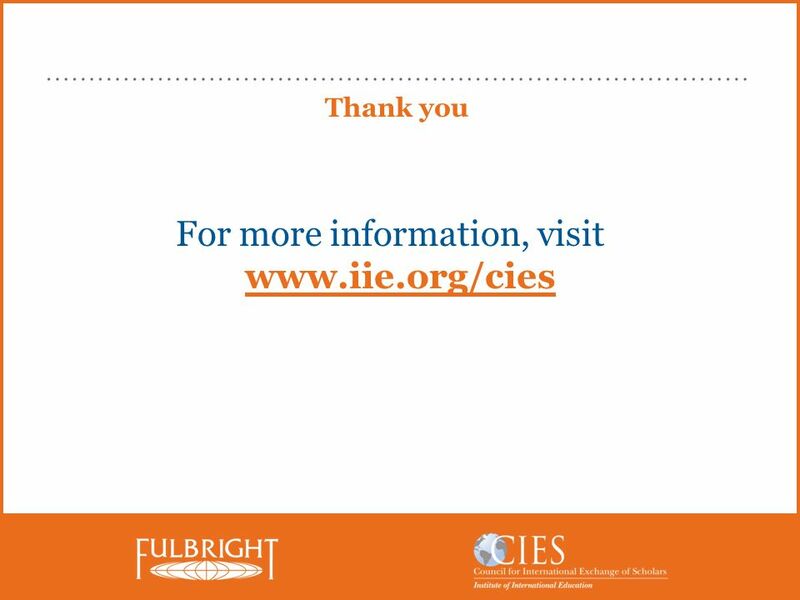 Andrea Insley Ed.D. 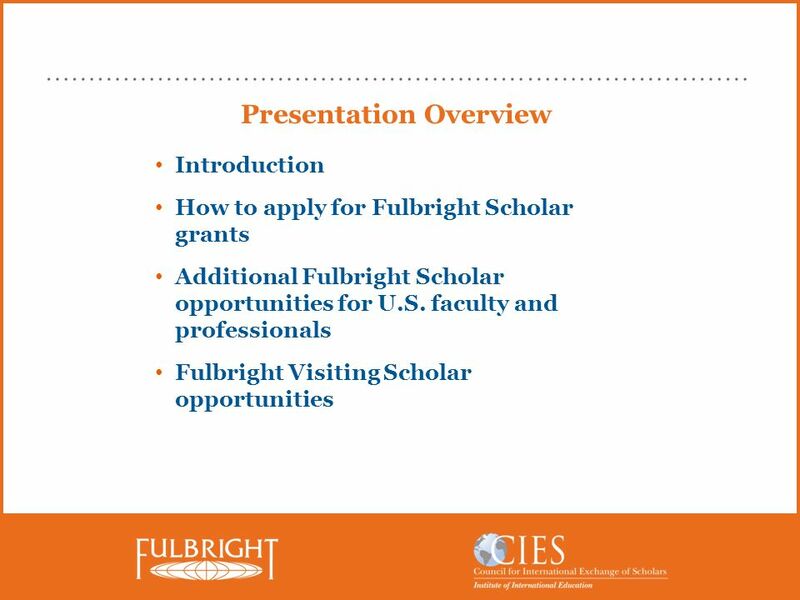 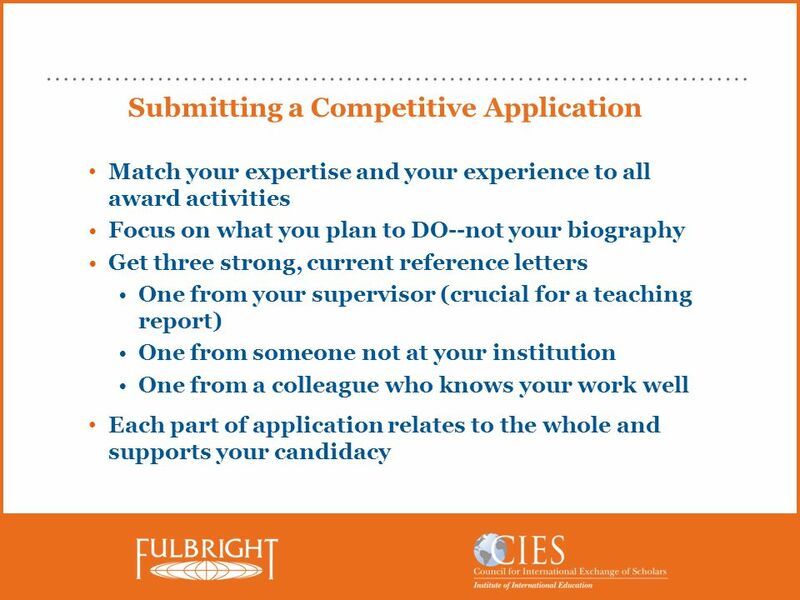 Carey Schroyer D.C.
University of Baltimore 27 March 2013 An Introduction to Fulbright Scholar Grants for U.S. 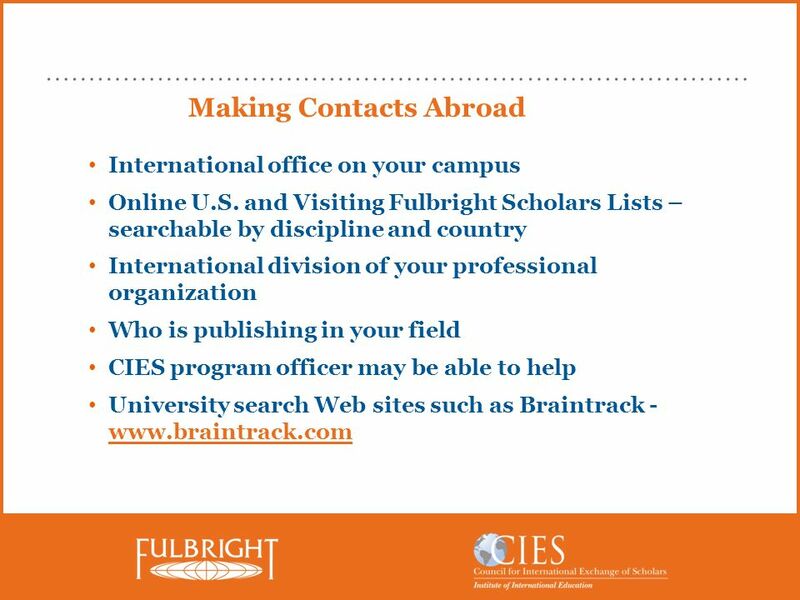 Faculty and Professionals Andy Riess Assistant Director - Outreach. 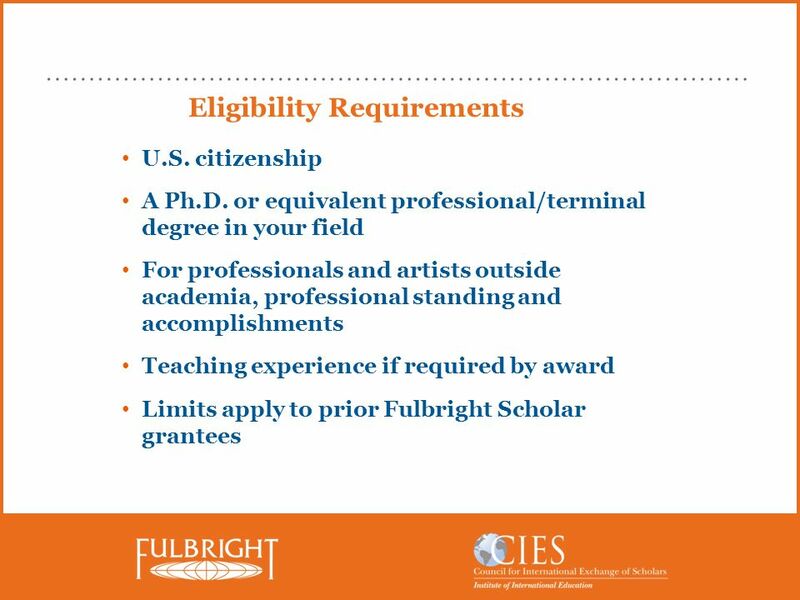 Fulbright Scholar Grants for U.S. 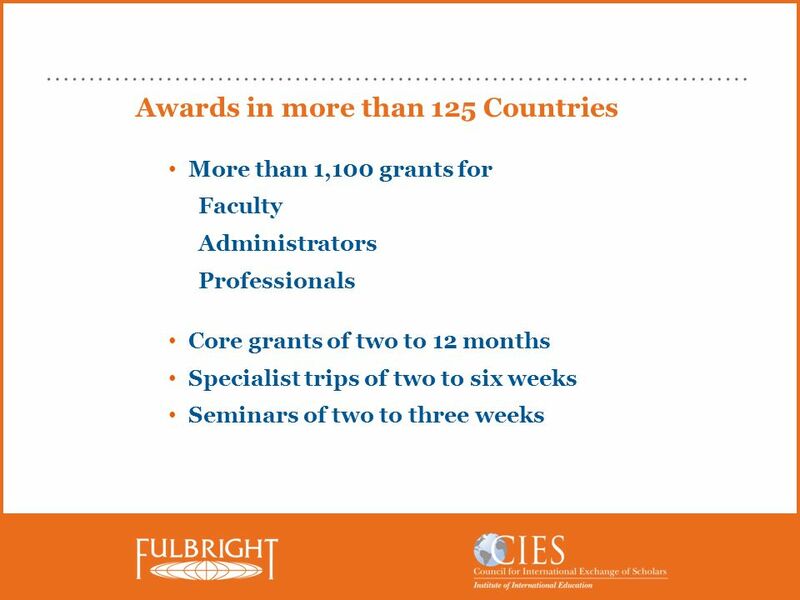 Faculty and Professionals. 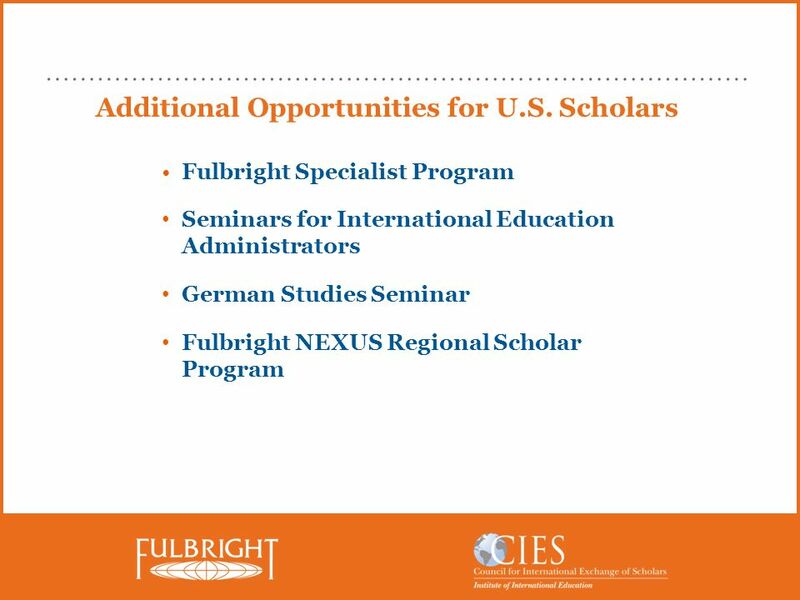 Federal Funding for Faculty Research Abroad UNT-International and UNT Office of Research & Economic Development April 10, 2009. 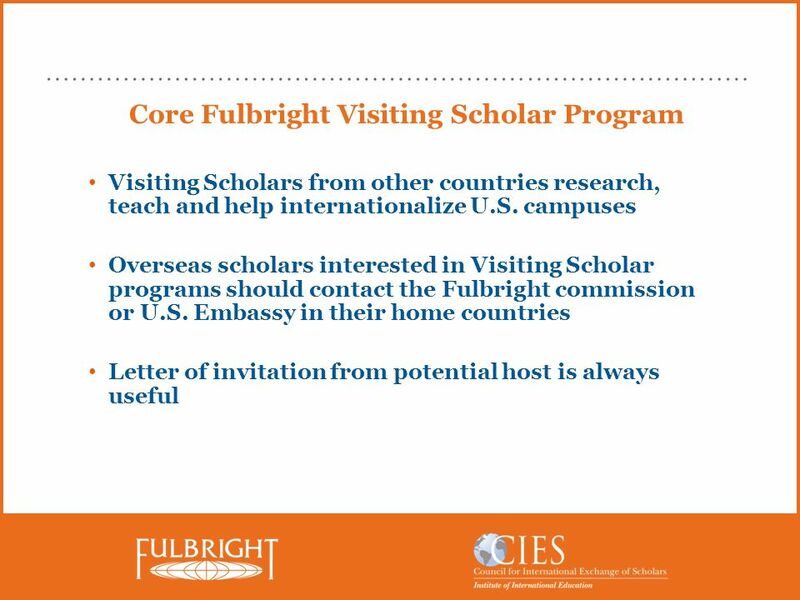 This is a joint program of the U.S. Department of State and the Government of Macedonia. 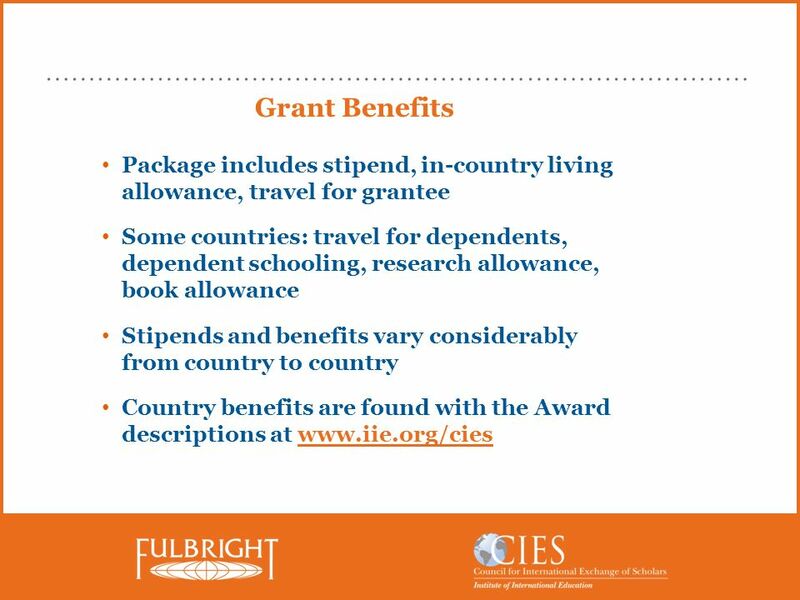 INTERNATIONAL SCHOLARSHIP PROGRAM GILMAN B E N J A M I N A. 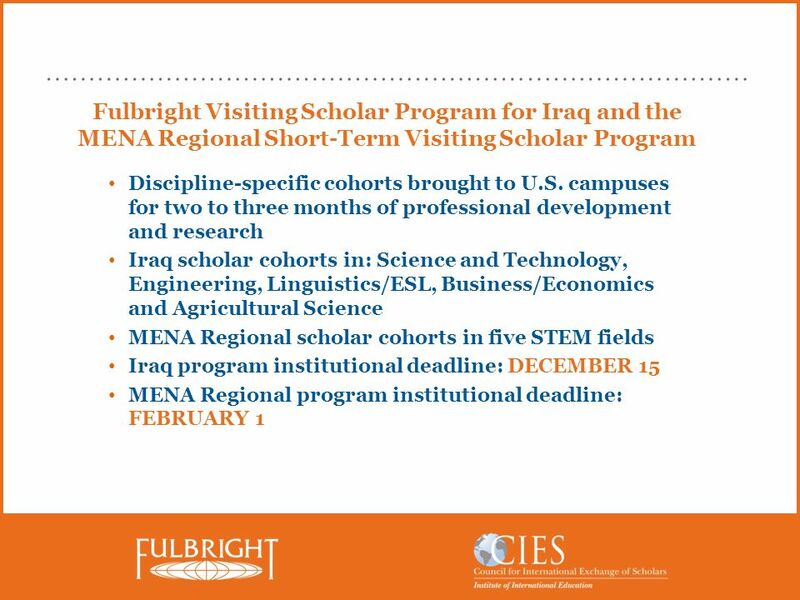 Sponsored by: U.S. Department of State, Bureau of Educational and Cultural Affairs Administered. 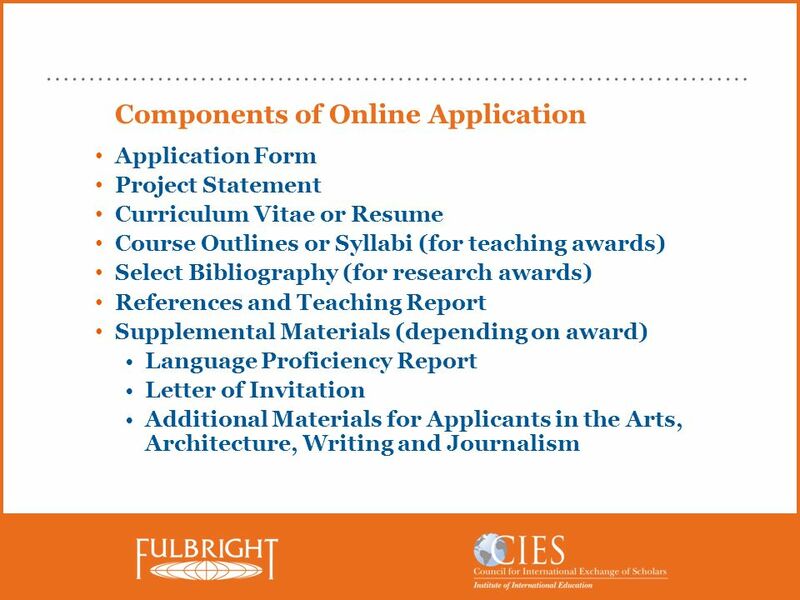 What is DAAD? 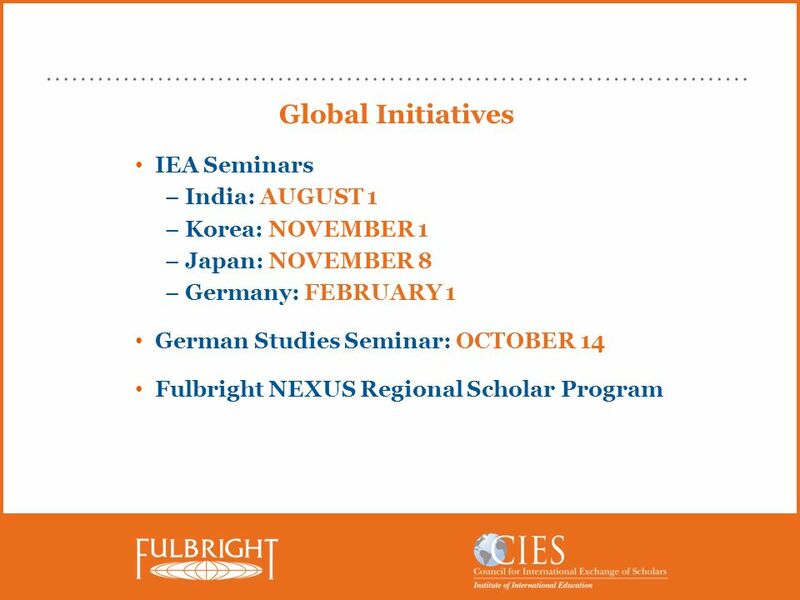 DAAD : : North America : : Deutscher Akademischer Austausch Dienst German Academic Exchange Service  German national agency for international. 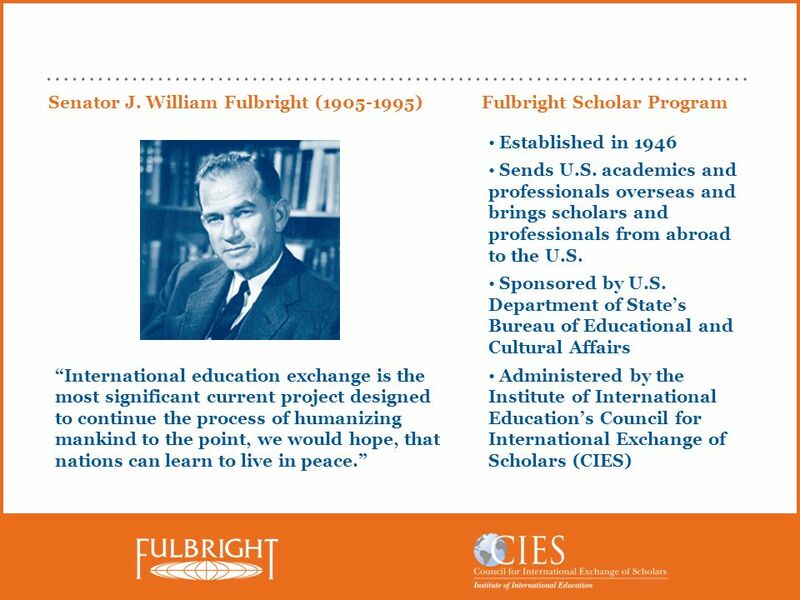 The Fulbright Program, sponsored by the U.S. Department of State’s Bureau of Educational and Cultural Affairs, is the U.S. government’s flagship international. 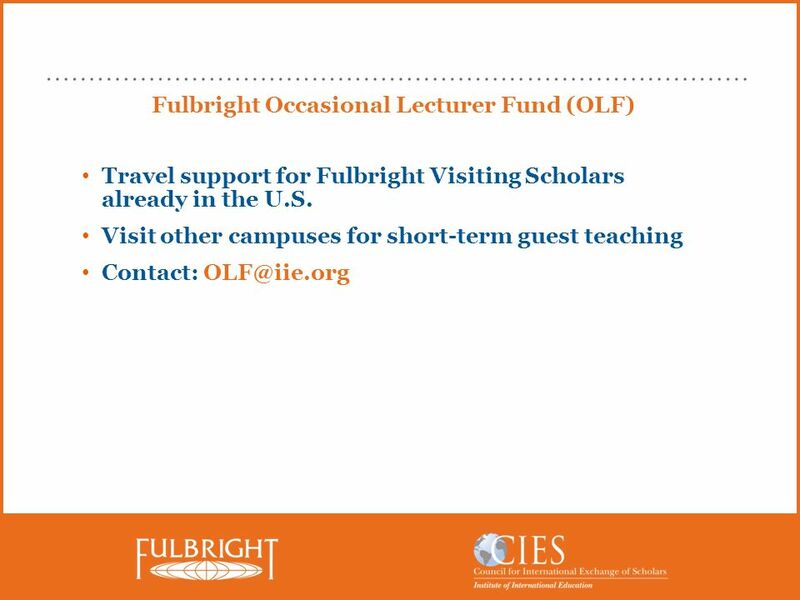 Santa Clara University February 11, 2015 ALISHA SCOTT, PROGRAM OFFICER COUNCIL FOR INTERNATIONAL EXCHANGE OF SCHOLARS WASHINGTON, DC Fulbright Scholar. 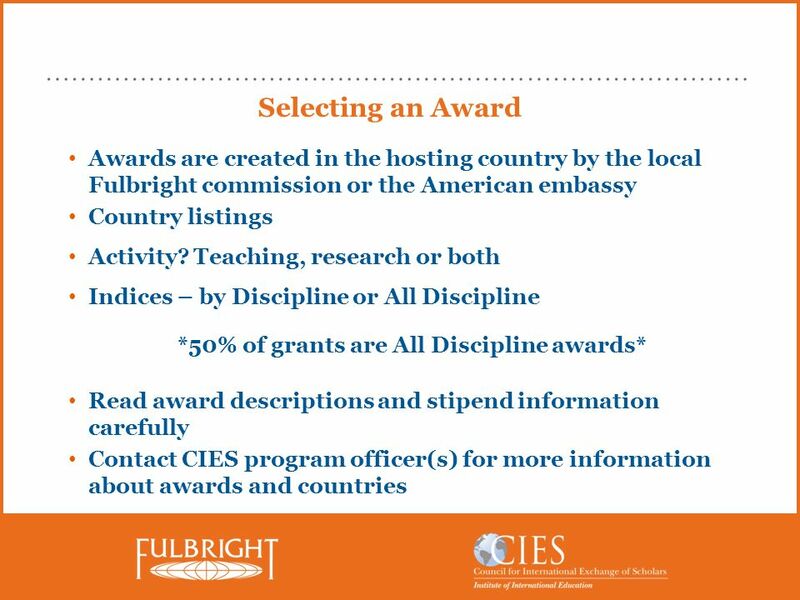 International Faculty Opportunities Presented by: Andrea Insley, Ed.D. 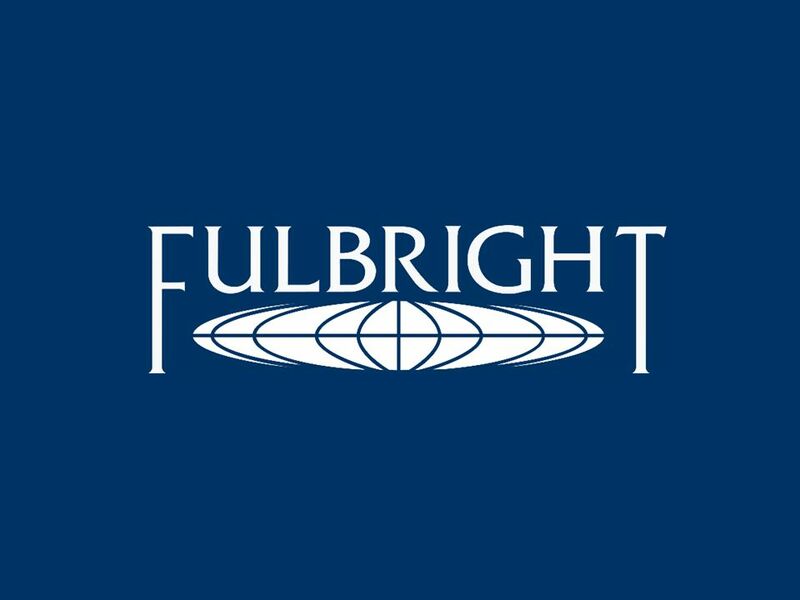 District Coordinator, International Programs. 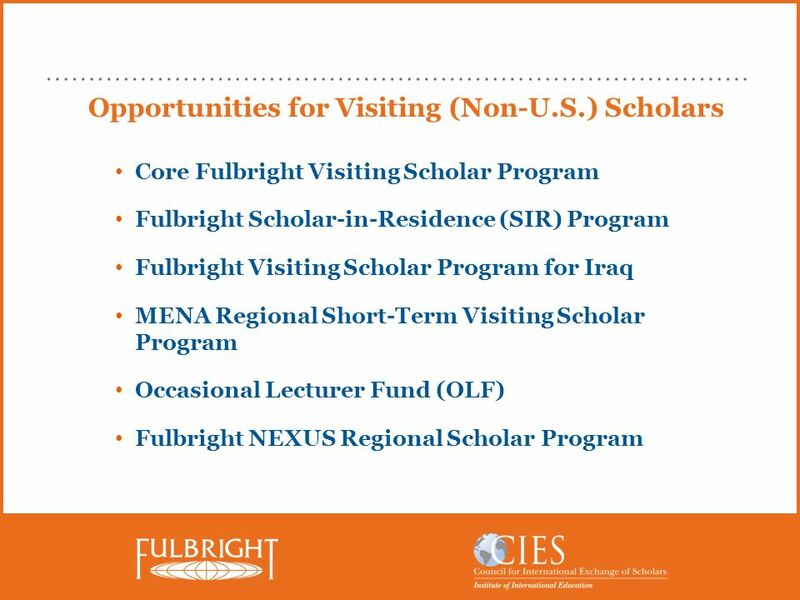 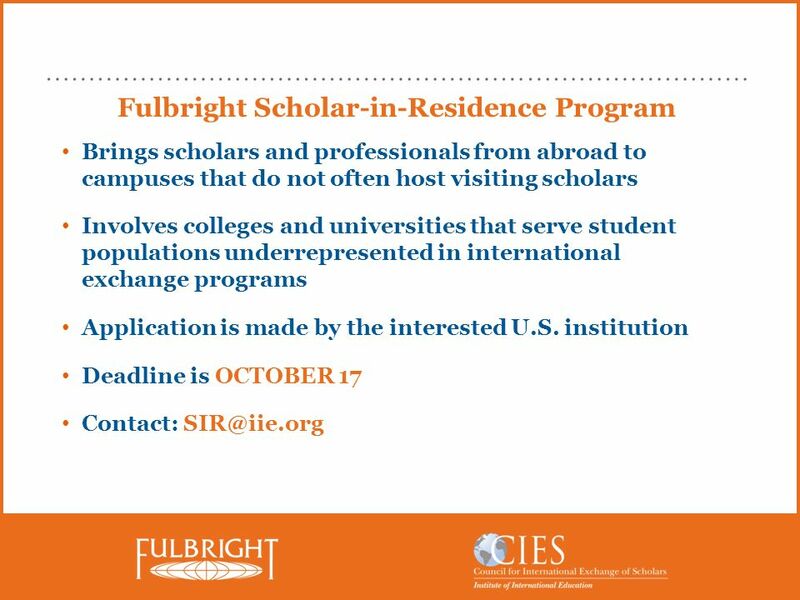 Fulbright Scholar Program Opportunities for Community Colleges Date and Location PRESENTER AND TITLE COUNCIL FOR INTERNATIONAL EXCHANGE OF SCHOLARS. 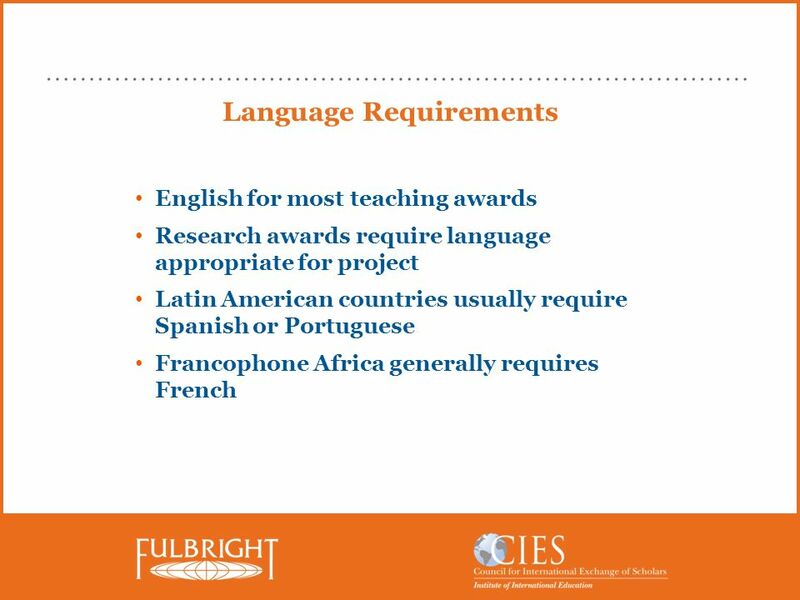 T HE R OTARY F OUNDATION T HE R OTARY F OUNDATION of Rotary International eLearning Educational Programs. 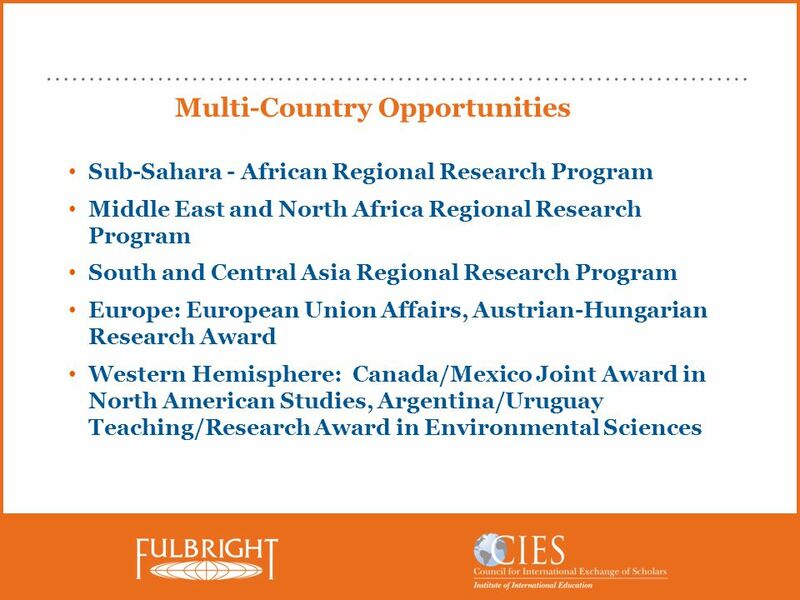 National Science Foundation International Programs Larry Weber National Science Foundation International Programs Larry Weber.